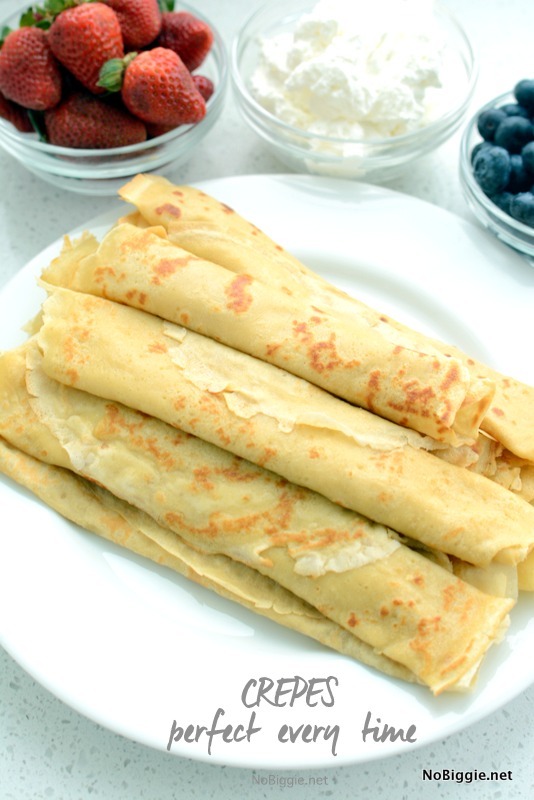 Make perfect crepes every time! 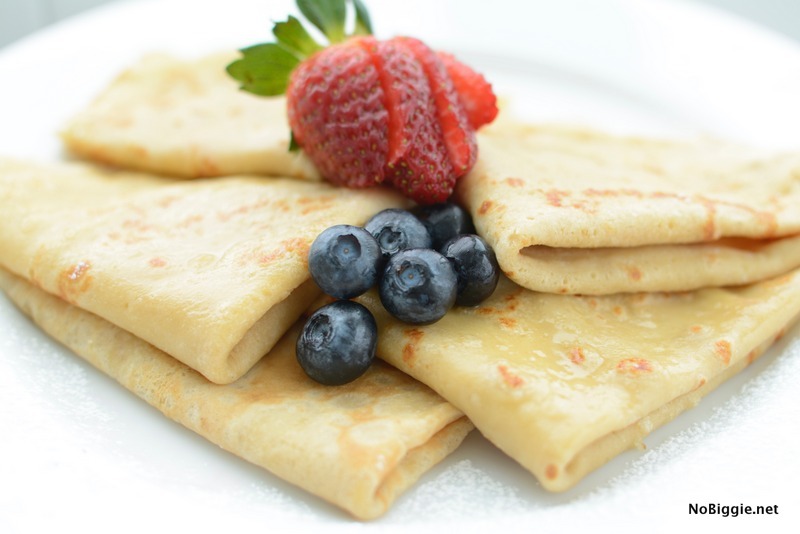 Crepes are the best, don’t you think? Growing up we called them “sugar rolled pancakes”. I love making them on the weekends, when we have the time. Or you can always make them a head of time and warm them before serving. 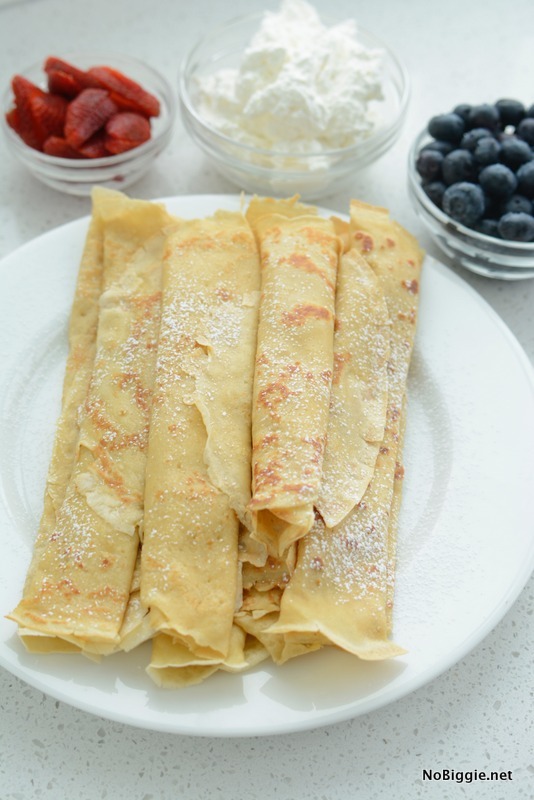 Having a great recipe is crucial, and this recipe is the best…perfect crepes every time. The technique of making crepes can be intimidating…for years I thought I needed one of those special crepe makers where you dip the hot pan into the batter. Learn from my mistake…don’t buy that gadget! It’s a waste of money and of crepe batter…you don’t need it. You only need an 8 inch pan. We made this fun video to show you how easy they are to make. Do you like to roll them up or fold them into fourths? I grew up rolling them up, but I love the look of them folded into fourths. Any way you fold them, they’re delicious! 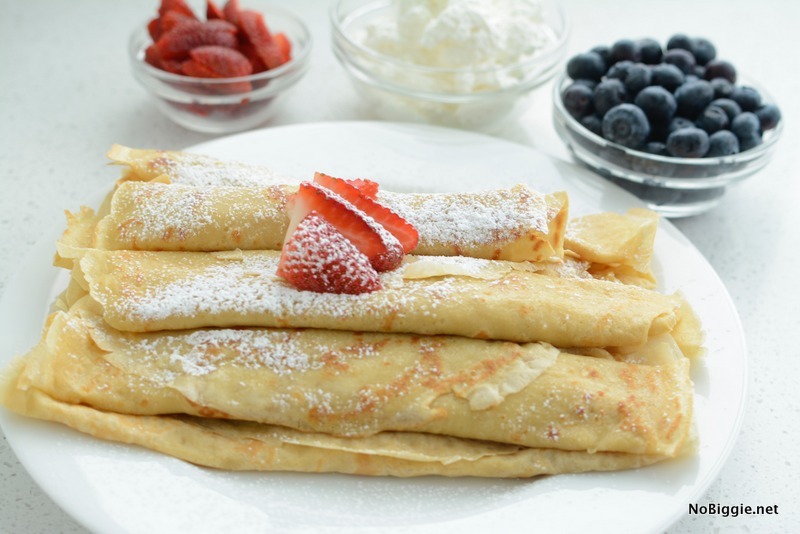 Pour 1/2 cup of crepe batter into the pan and tilt pan so the batter covers the pan in a thin layer. Cook until the edges start to lightly brown, about 30 seconds to 1 minute. Flip over and cook for a few more seconds until done. 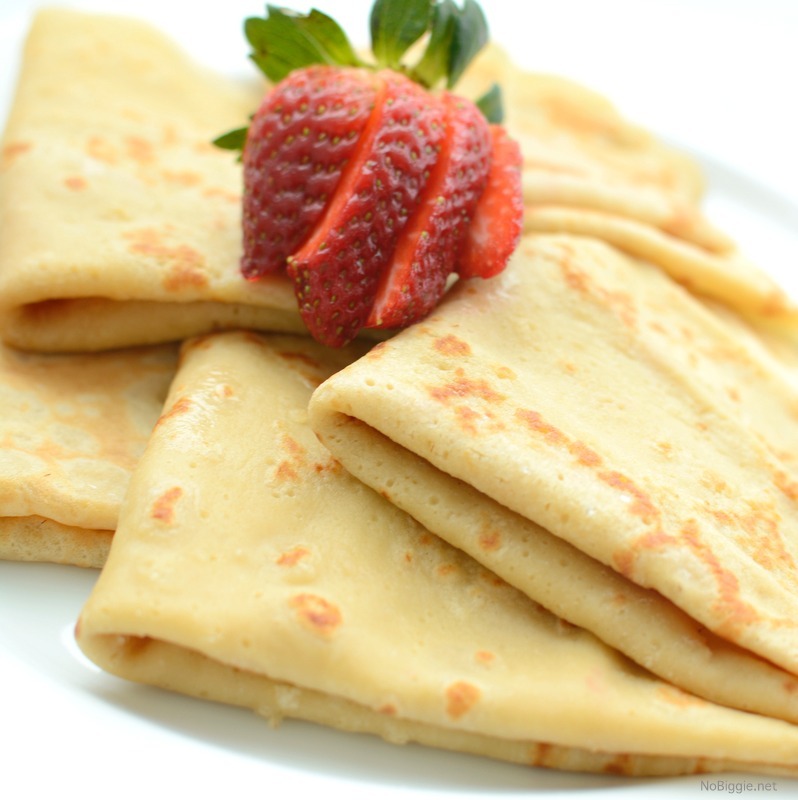 Sprinkle about a 1/2 teaspoon of sugar over the crepe and roll them up, or fold them into fourths. -This Overnight French Toast Bake – is so good! It’s basically baked with the syrup in the bottom of the pan. Oh good! Yep…it’s a keeper! Crepes are so good! We also put dulce de leche or brown sugar with lemon juice on ours. 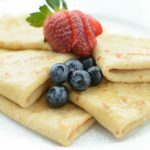 I don’t make them very often because I have teenage boys who would like to eat 10-12 crepes each! Thanks Heidi! That sounds so good, I’ll have to try that! Oh my gosh…that’s hilarious! That would be a lot of crepes to feed them! Looks delicious! What’s your recommended method of reheating them? Hi Stacy! I think you could warm them in the oven on a low temp covered in tin foil for a few minutes. Sure they would freeze great! Just make sure to have sheets of parchment paper between them to keep them from sticking together. Hi Kira! The amount you make will vary depending on the size and thickness. If you add more or less batter for each one, it will change how many you end up making. My grandmother made these a lot. She called hers German Pancakes. You are right they are delish. You can fill them with anything including Chicken-Ala-King for a later meal. You can try it! Not sure how they flavor or consistency will change. Yay! So happy you love it! Thanks for sharing!